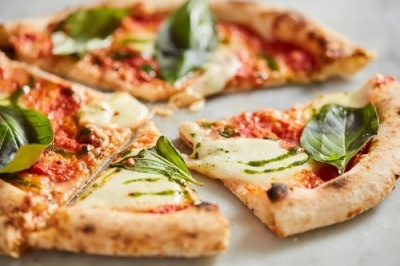 What a great shout if you’re looking for classic Neapolitan pizza made with gluten-free dough. All of their 12" pizzas can be made with their special base and there is so much to choose from. Whether you fancy one of their classics, keeping it simple and playing it safe or you want to push the boat out and indulge in one of their signature creations such as the mouth-watering Lombardini which is topped with caramelised leeks, green beans, sun dried tomatoes, roaster artichoke, peppers and mushrooms. You can’t even imagine what the prices start from, as little as £6.95 and there is no extra fee for the gluten-free base. Whether you want to dine in, take out or have your pizza delivered. Ecco Pizzeria, 93 Otley Road, Headingley, Leeds, West Yorkshire, LS6 3PS & 90 Street Lane, Roundhay, Leeds, West Yorkshire, LS8 2AL. Bucca Di Pizza - Without doubt this comes in second place. This restaurant has gluten free options with a big reputation for its wonderful pizzas. 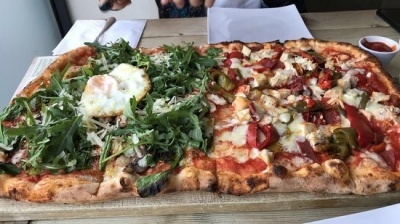 You can choose the Gluten free base with some enticing toppings such as the Captain Cooked which brings together Rum glazed pineapple, pancetta, parma ham, mozzarella and jalapenos. Now doesn’t that sound tasty! If you’re after something richer, you could try the Hickory Pig with the BBQ base topped with pancetta, mozzarella, smoked cheese and pulled pork. The pizza prices start from £8.50 and it’s £1 extra for the gluten-free base. All worth it if you ask us! Buca di Pizza, City Central, 27 Wellington Street, Leeds, West Yorkshire, LS1 4EA and 5 Stainbeck Lane, Chapel Allerton, Leeds, West Yorkshire, LS7 3PJ. 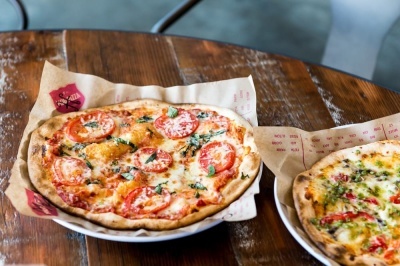 If you are little bit of a perfectionist when it comes to pizza and prefer to create your own then Mod pizza was built for you! You can combine as many toppings as you want on top of your gluten free base. With endless options of different sauces, cheese, meats and veggies, you are able to ‘express yourself through pizza’ as they like to say. Be creative with your spices, if you don’t like it they’ll let you make a new one all over again for free. If you’re feeling peckish and want to trust the experts they also have a delicious range of pizzas to choose from, one of our favorites is Calexico loaded with mozzarella, blue cheese, chicken, jalapenos, hot buffalo sauce and MOD special sauce. Prices start from just £4.87 and there’s no extra fee for the gluten-free base. Mod Pizza, 11a Cardigan Fields, Kirkstall, Leeds, West Yorkshire, LS4 2DG. The reviews on Google confirms it all, reaching 5 stars on almost every comment. This place is an Italian classic and definitely worth a visit. 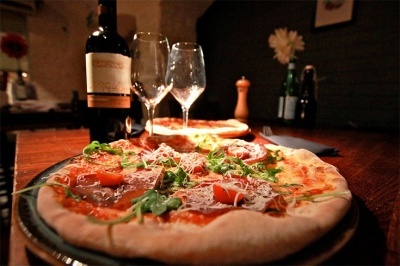 They pride themselves for their delicious stone-baked pizza which can also be made with a gluten free base. If you want to try something out of the ordinary, order their most famous pizza the Diavola which is mildly spicy including Italian salami, Nhuja (hot ground sausage imported from Calabria,) fresh chill and ham. Your pizza prices start from as little as £6.50 but it’s £2 extra for the gluten-free base. Culto, 97 Stainbeck Road, Chapel Allerton, Leeds, West Yorkshire, LS7 2PR. They continue to pull out all the stops when it comes to their gluten free pizzas. They ensure the base and all the toppings are completely gluten-free with little to leave to the imagination when it comes to toppings. Will you try the Tonnata with tuna, olives, red onion, anchovies and capers? Or maybe the folded Kiev pizza with pulled chicken, Yorkshire ham and garlic butter. Your pizzas will start from £8.50 and there is no extra fee for the gluten free base. Salvo’s, 115 & 107 Otley Road, Headingley, Leeds, West Yorkshire, LS6 3PX. Grumpys - Don't be put off by the name, the staff are very friendly. Grumpy’s, 2 Old Combing, Paradise Street, Farsley, Leeds, West Yorkshire, LS28 5PR.